ĐỒNG NAI – The first batch of processed chicken breasts of a Đồng Nai-based poultry company will be sold in Japan in July. This was stated by the Animal Husbandry and Veterinary Branch of the southern province of Đồng Nai. 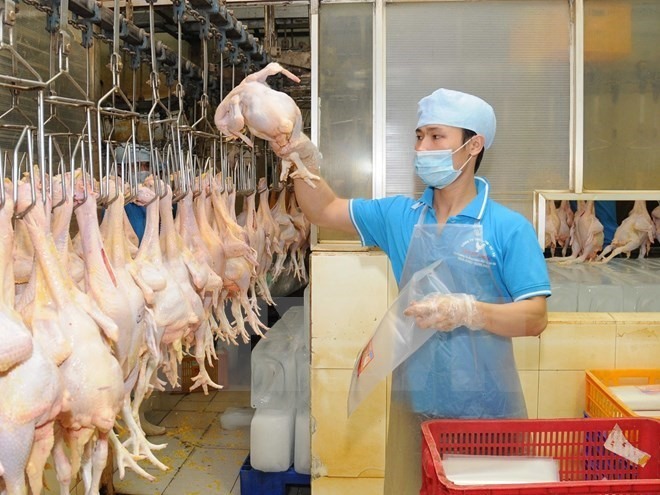 Koyu & Unitek Co Ltd, located in the Long Bình Industrial Zone, will create a closed production chain ensuring food safety to meet its partner’s standards, according to the Sài Gòn Giải Phóng (Liberated Saigon) newspaper. The shipment is expected to open new opportunities for local farmers and help them lessen their dependence on the domestic market. Koyu & Unitek will export some 300 tonnes of chicken breasts to Japan per month.